Tonight's OMEGA Processing Game of the Week features the Dixie Colonels (15-5) hosting the Holmes Bulldogs (18-2). The two teams met earlier this season in the Stop DWI Classic. The Bulldogs got the best of the Colonels, winning 67-59. The Bulldogs only two losses of the season came at the hands of Long Island and the Covington Catholic Colonels. They are led by junior guard, James Bolden, and senior forward, Quinton Chames. The duo has led Holmes to an eight game win streak, their longest streak before winning the first nine games of the season. 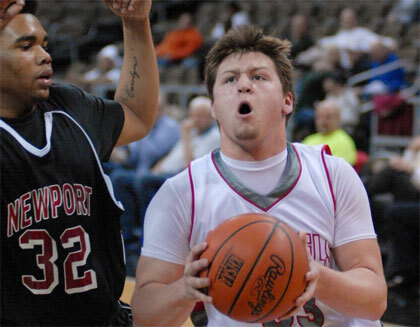 The Colonels are led by senior guard, Brandon Hatton, who will be playing basketball with Vermont next season. They are riding a nine game win streak and have only lost one game at home this season. Catch the game LIVE on Wednesday, February 5 at 7:30 P.M.